There are many unusual Museums in the U.S. - there's a Museum of Bad Art in Boston, a Museum of Pez Memorabilia in Burlingame, CA, Leila's Hair Museum in Missouri, Salt and Pepper Shake Museum in Gatlinburg, Tennessee, and more. 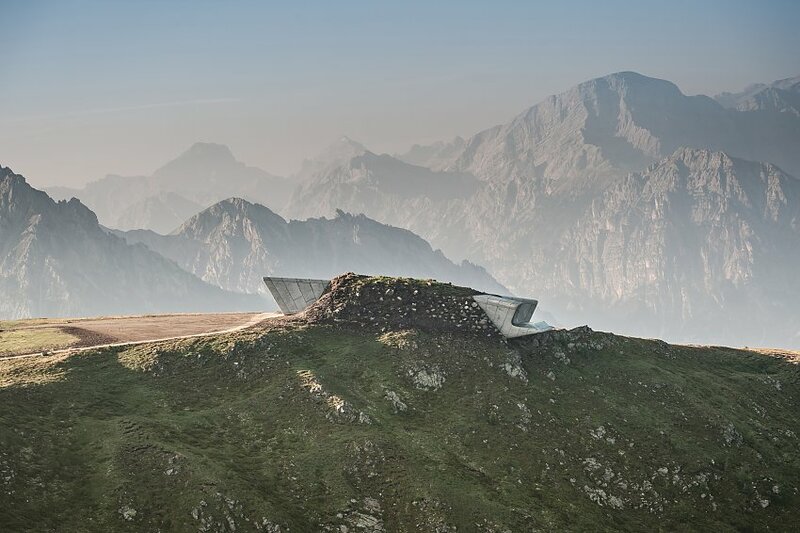 There is a more lofty museum in Corones, situated on the summit plateau of Kronplatz that is dedicated to traditional mountaineering. It offers unique views of the great mountain walls of the Dolomites and the Alps. The viewing platform got my attention. The building was created by star architect Aha Hadid, who has since passed away. 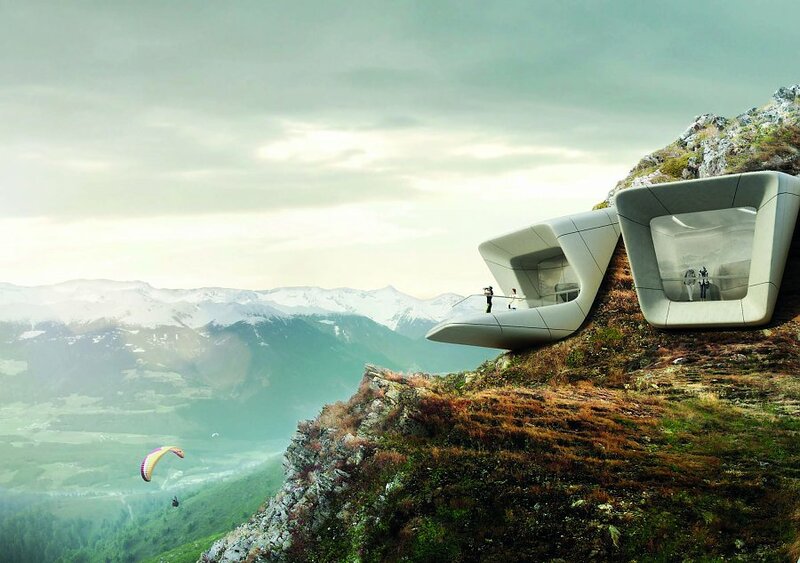 It is known as the Messner Mountain Museum. These pictures are what attracted me to this topic, particularly the second picture. Reinhold Messner created six mountain museum facilities all together. Here is what he has to say: "As in my other museums, I shed light on alpinism with the help of relics, thoughts, works of art (pictures and sculptures) and by reflecting the outside mountain backcloth in the interior of MMM Corones." Messner is world famous in mountaineering and extreme exploring. He made the first solo ascent of Mount Everest without supplemental oxygen, and the first climber to ascend all fourteen peaks over 8,000 metres above sea level. He has published more than 80 books about his experiences as a climber and explorer. He had a political career from 1999 - 2004. This is the Museum website HERE. It shows all the museums, each visually arresting. He conducts events at these sites. In August 2019 there will be discussions around fire. Every Tuesday in August, enjoy the evening atmosphere at the MMM Firmian. With the onset of dusk, Reinhold Messner will tell you stories from his life and answer your questions. Attention: Reinhold Messner will tell his stories in German, it will not be translated into English. "Above all, as an internet illiterate, I am talking live about my life as a miner, mountaineer, museum designer, filmmaker. I started my seventh life after I reinvented myself six times and continue to tell my life. After my time as a rock climber, mountaineer, border crosser in polar regions and deserts, explorer, politician and museum ideator, I remain the storyteller and guardian of the last non-urbanized spaces on earth. I am concerned with the relationship between human nature and wilderness, with self-responsibility and experiences on the edge of our possibilities, a self-determined life last." 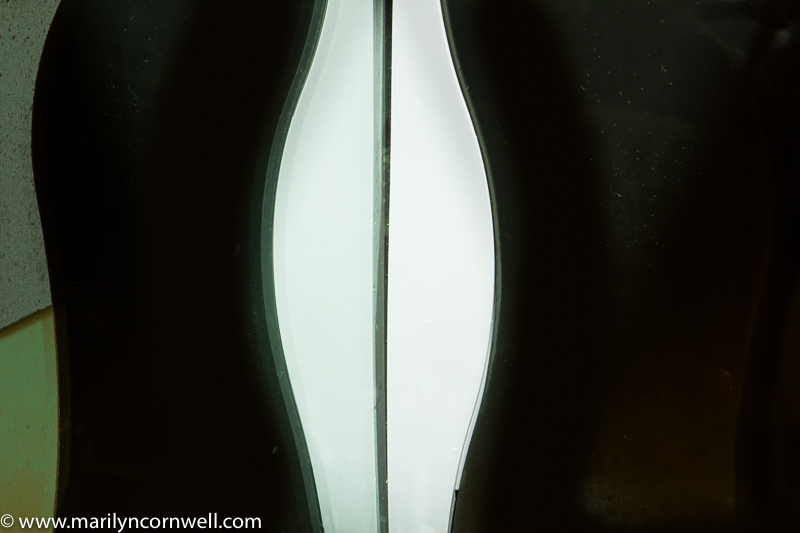 I found this fascinating image in my Lightroom database - I don't remember what the object is. It makes it more interesting and mysterious.